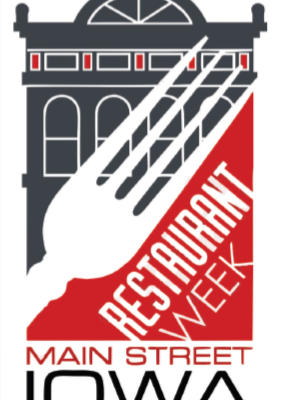 Main Street Iowa Restaurant Week is a collection of activities featuring local eateries that are occurring in Main Street Iowa communities during a nine-day period (September 20-29). The state-wide promotion is coordinated by Main Street Iowa. Eat and love local this week and follow us on Facebook and Twitter for daily specials and spotlights!